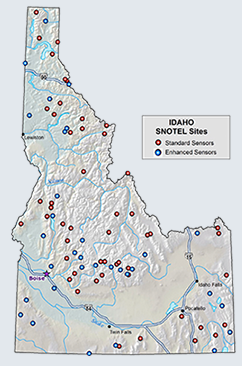 A week with no precipitation has given the snowpack time to stabilize, but there are still certain watch-outs. The buried surface hoar is reactive in sheltered and shaded areas, there are a few lingering wind slabs, and as the temperature rises the potential for wet avalanches will increase. Check out the descriptions of each below to see how they differ by aspect and elevation and keep your head on a swivel. Avalanche danger will rise to Considerable on Saturday. The buried surface hoar layer is still lingering in some locations. Be suspicious of shaded and sheltered areas on the northern aspects below 5900'. This includes wide spaced big timber and shaded draws. Dig a quick pit in lots of locations as you are traveling up to get a spatial reference for where you are seeing it and where you aren't. It was still very reactive in pit tests in the locations we found it in today. Temperatures during the day are predicted to be above freezing for both Friday and Saturday, with the snow/rain elevation line occurring between 5500' and 6000'. 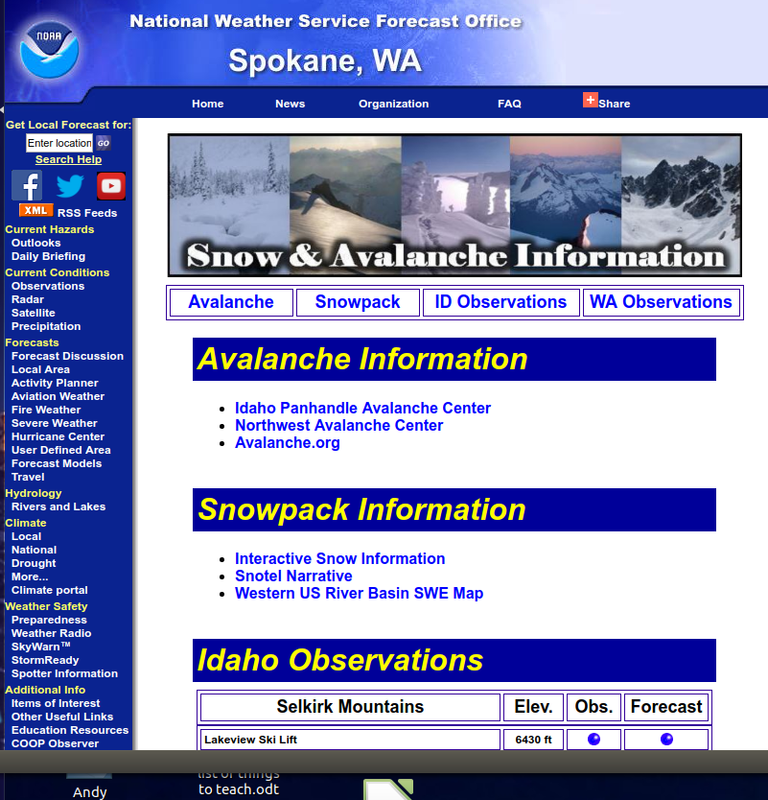 Expect wet loose avalanche danger to increase as the rain introduces heat to the snowpack. Watch for roller balls and tree bombs to indicate that the temperatures are warming above freezing. It has been over a week since there has been new snow and we found a stout sun crust on the southern aspects today, so there hasn't been new snow available for transport. The wind slabs that have formed earlier in the week are healing, but it was still possible to get them to react today in ski cutting. Give the usual loading zones a wide berth and watch for pillowed, chalky, and hollow sounding snow. On Thursday, we traveled to Dominion Peak and Bald Mountain on the Idaho/Montana line above Taft to check out conditions and the report of several avalanches over the weekend. We witnessed where several cornice bombs had set off smaller slides and also saw where several glide cracks opened last weekend in the warm weather. We won't have the repeat sun this weekend, but it is still a good reminder to pay attention to the temperature. The loose wet potential will increase this weekend with the warmer weather and the potential rain. Give those cornices a healthy berth! The layers at the upper elevations were showing very good bonding and stability. Troubling is the massive new crop of surface hoar that has formed on all aspects and elevations right now. On the southern aspects and the lower elevations this is sitting on a stout sun crust which is a slippery sliding surface. We will cross our fingers that the new storm comes in warm and wet and knocks it down rather than burying it whole (again). Groundhog Day is this weekend, but we don't need two persistent weak layers of buried surface hoar to keep track of. Below is a picture of that new crop of surface hoar. Speaking of the buried surface hoar... We found it alive and well in the sheltered timber that we checked today. We were travelling on snowmobiles, but found it very convenient to take a break from the massive washboards to quickly dig to see if it was located where we were. This is just as easy when you are skinning up, every time someone takes a break, dig a small quick pit to see if it is there. Most locations it's buried under 30 to 40cm of snow, so doesn't take much digging. By doing this, you will get a good sense of the spatial variability in the area you are travelling. Heads up for changing conditions Saturday. New heavy loading and strong winds will make the avalanche danger increase. Thanks everyone for the observations this week, keep them coming! Temperatures: 39 deg. F. 35 deg. F. 39 deg. F.
Expected snowfall: <0.5 in. 0.5 in. <0.5 in. Temperatures: 34 deg. F. 31 deg. F. 34 deg. F.
Expected snowfall: <1 in. 3-5 in. 3-5 in.